watercolor on paper. 16 x 23 ½ in. 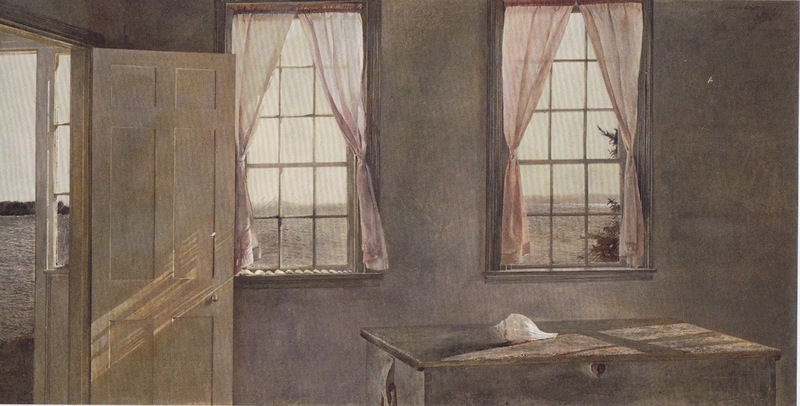 Of the more than 370 entries I have written here, the second-most popular has been Rooms with a View which offered small 19th-century Scandinavian paintings of mostly bare rooms with windows. The National Gallery in Washington, DC is presenting until the end of November another window exhibition, this of paintings by Andrew Wyeth. 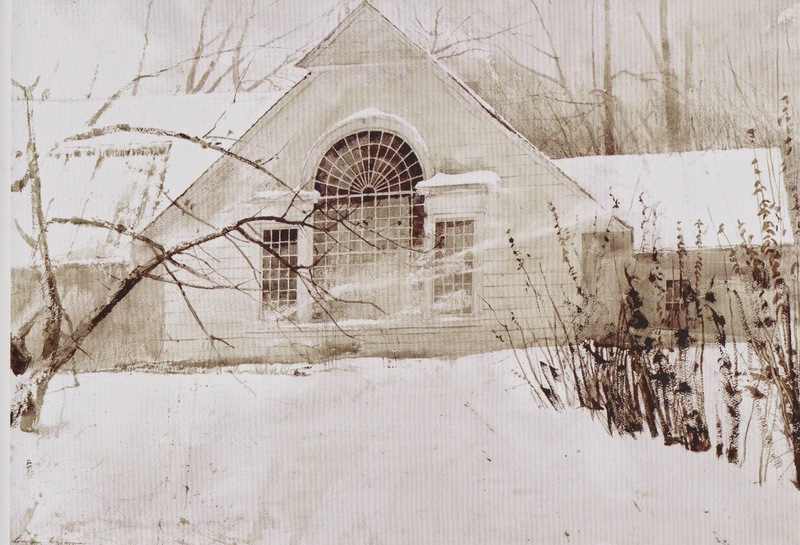 I have followed Wyeth since I first discovered him Christina's World in the late 50s, and have made many pilgrimages to Brandywine, PA to his countryside (where I saw a pair of foxes courting in the snow). watercolor on paper. 22 ½ x 30 in. but it makes clear the differences. Where the little paintings showed the love of detail, this begins to melt away detail, to merge outside with inside, tree branches with man-made bricks. Wyeth has always seemed to me to paint death. 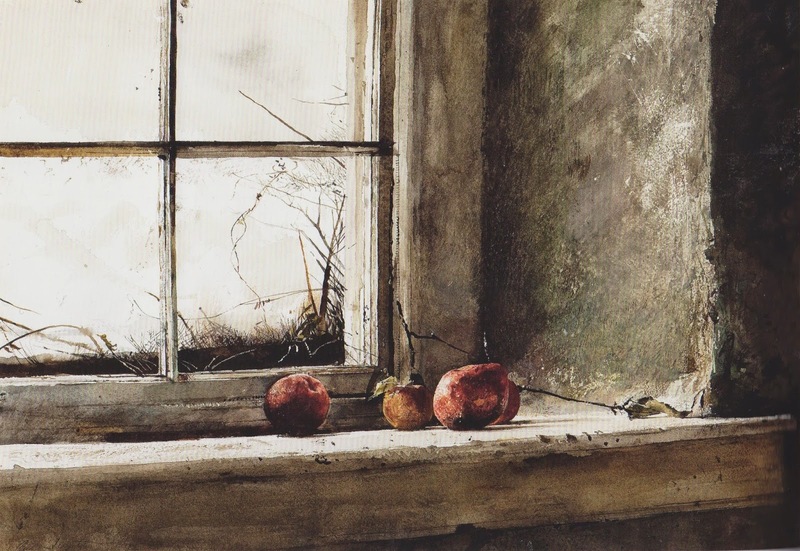 I see each of his paintings not as lament or scare but as a statement of infinite calm: death is apples on a windowsill, sunlight in an empty room, a wind from the sea. That wind is the poster picture for this exhibition. 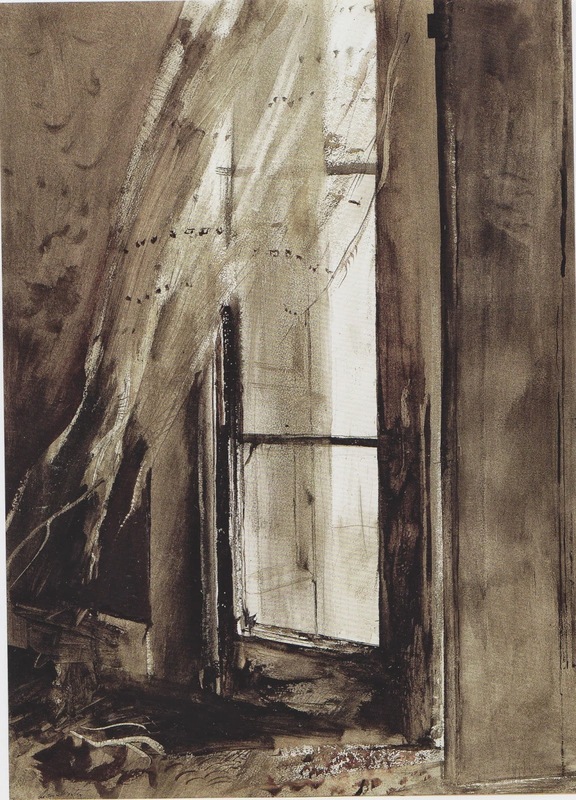 Andrew Wyeth, Wind from the Sea, 1947. The sea is invisible. 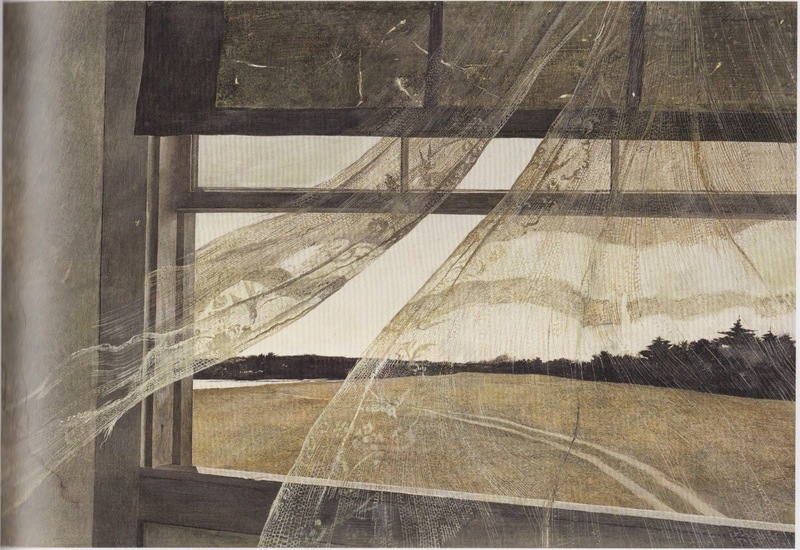 So much in Wyeth's paintings is invisible, like the lovers looking out the blue window, or "Her," or the fog, or the spring, or the window itself in paintings below. 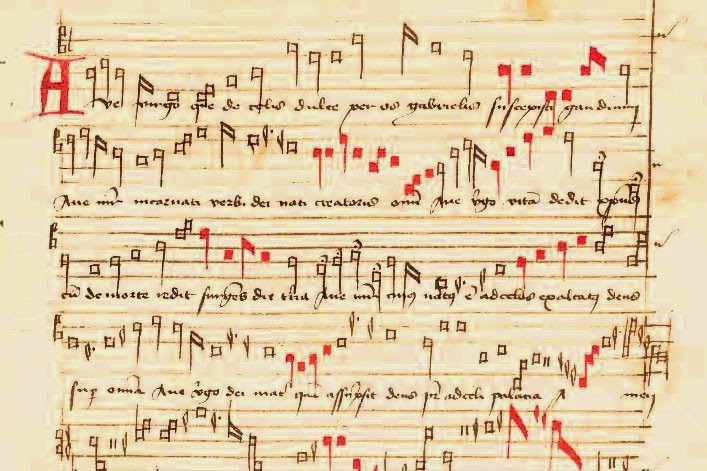 Like Piero della Francesca he paints the silence between the notes of music. But visible here in the lace of these wind-torn curtains are returning swallows, swallows coming toward the viewer whose face is about to be touched by the curtains, about to be touched by the incoming fog. 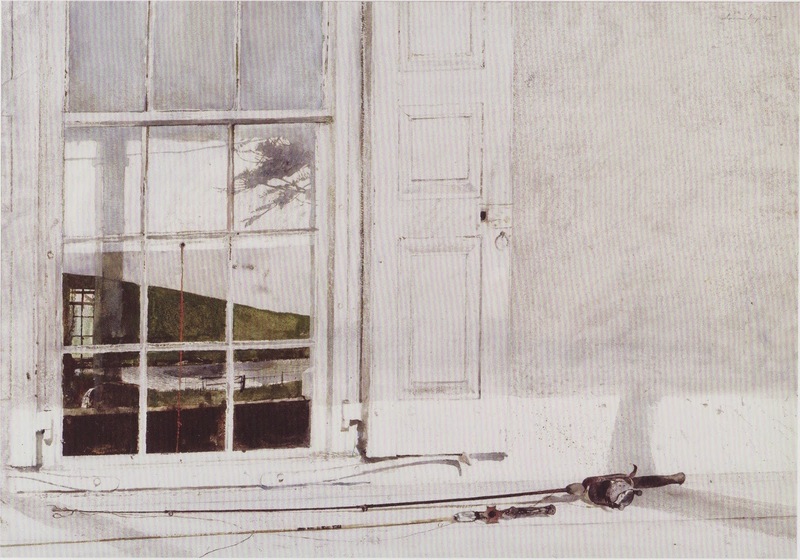 Andrew Wyeth, Rod and Reel, 1975.
watercolor on paper 21 ½ x 29 ½ in. Andrew Wyeth, Love in the Afternoon, 1992. 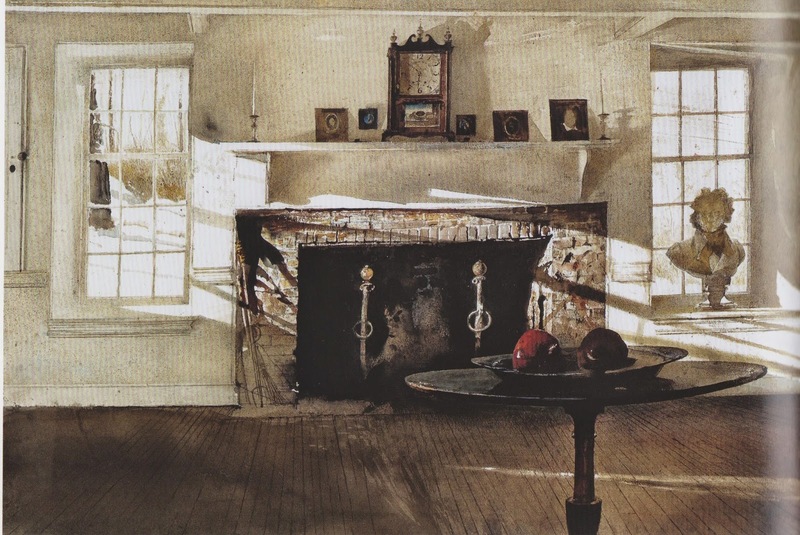 Andrew Wyeth, Her Room, 1963. 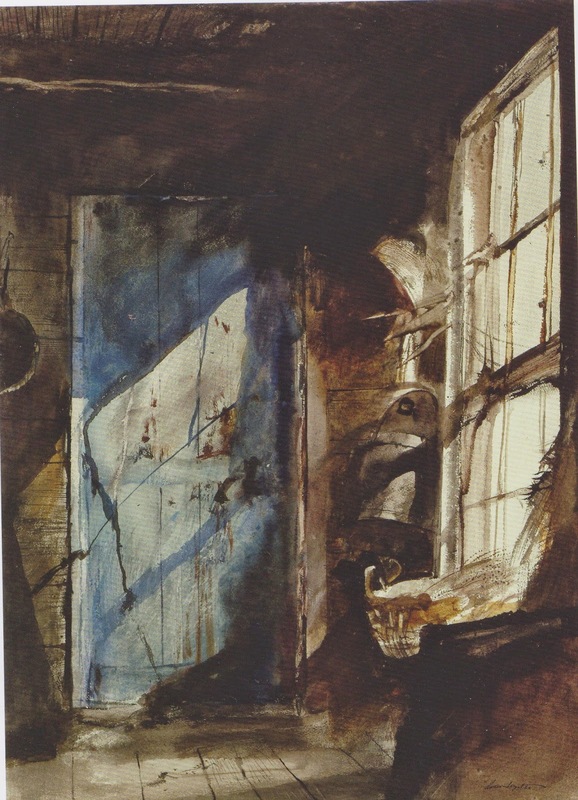 Andrew Wyeth, Blue Door, 1952.
watercolor on paper 29 x 21 in. Andrew Wyeth, Incoming Fog, 1952. 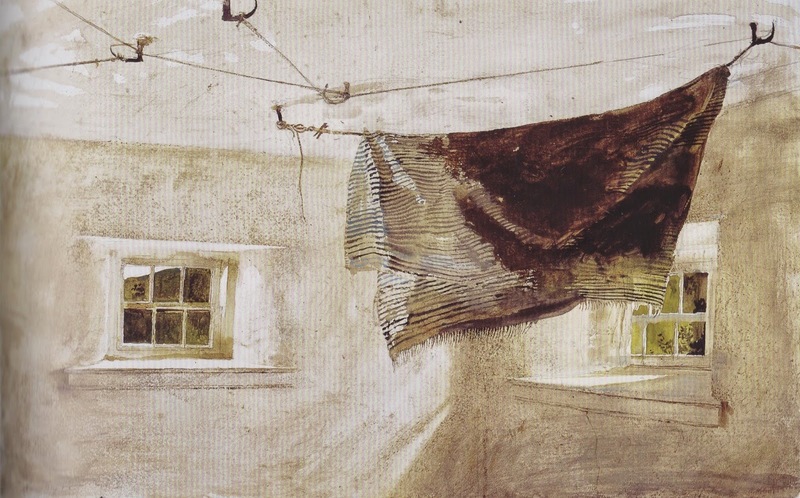 Andrew Wyeth, Drying Room, 1973.
watercolor on paper 19 x 30 in. watercolor on paper 22 x 30 in. 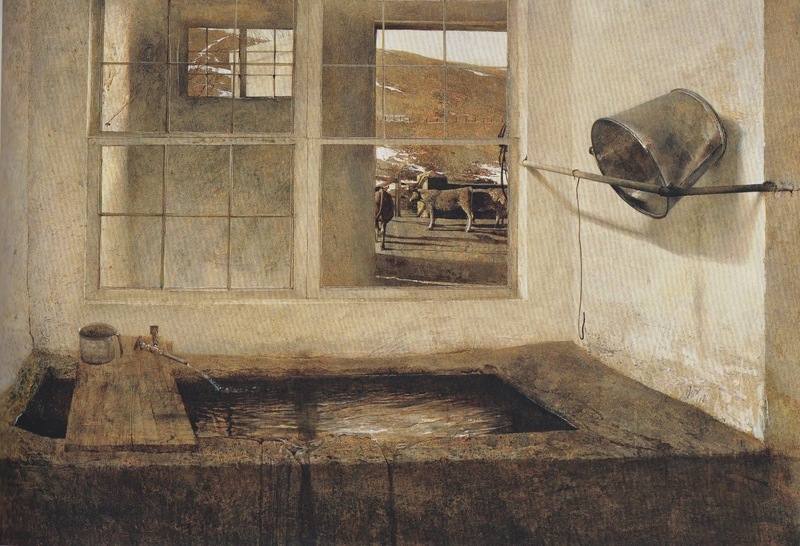 Andrew Wyeth, Spring Fed, 1967.
tempera on masonite 27 ½ x 39 ½ in. 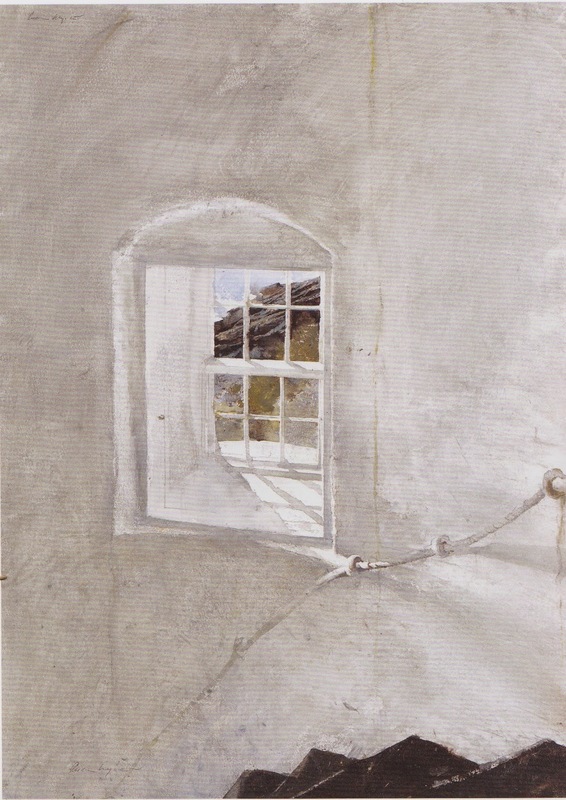 Andrew Wyeth, North Light, 1984.
watercolor on paper 21 x 29 ¼ in. 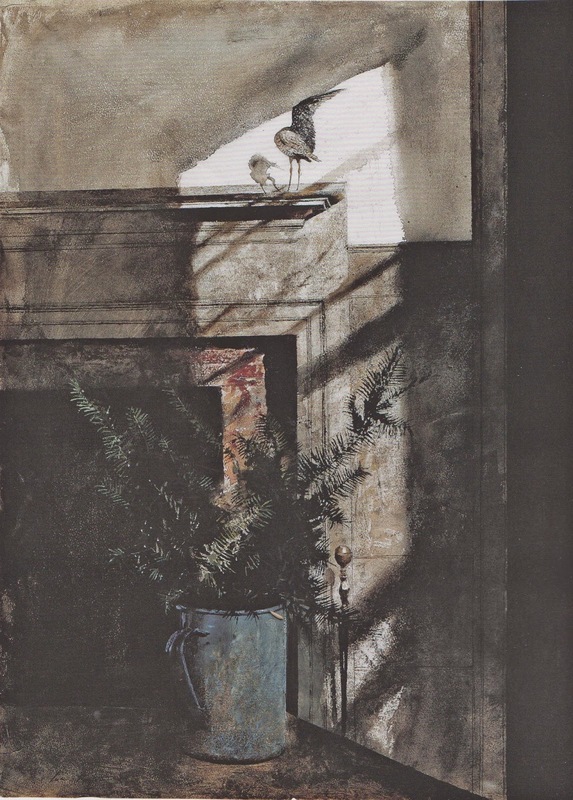 Andrew Wyeth, Bird in the House, 1979.
watercolor on paper 29 ½ x 21 ½ in. 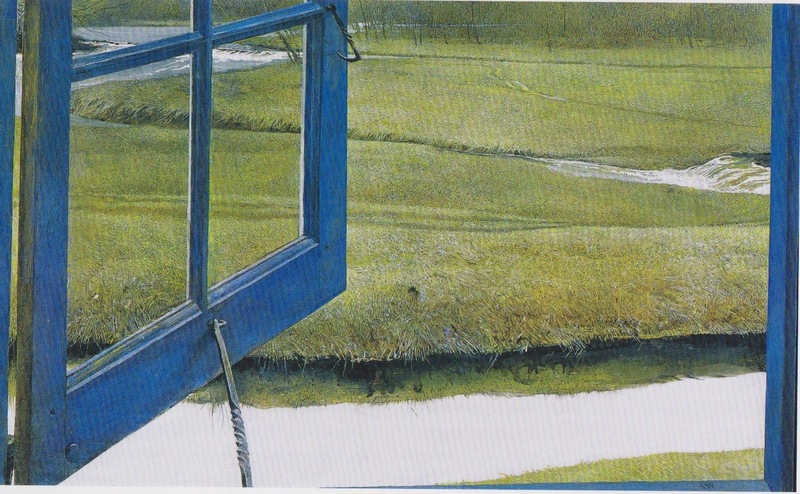 Pictures from Andrew Wyeth: Looking Out, Looking In. Nancy K. Anderson & Charles Brock. National Gallery of Art, 2014. This picture and the one below are from Michael of Rhodes. 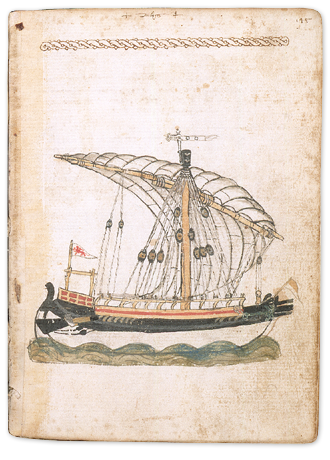 I have one reference from Nauplion in 1450, to an Andreas Fantalouris whose family owned a ship. Andreas was a large landholder, and may have been involved in a court case with Anonymous of Nauplion who has been a guest of this blog. Otherwise, all the sources I have now are from Ragusa. Other Naupliots transacted business in Ragusa. In 1408, Costantinos reported that 20 dozen bread knives were stolen from him while he was drinking in a tavern. 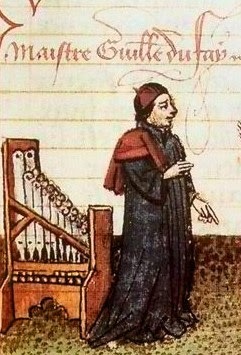 In 1428 a Yannis Canakis brought a ship of merchandise. 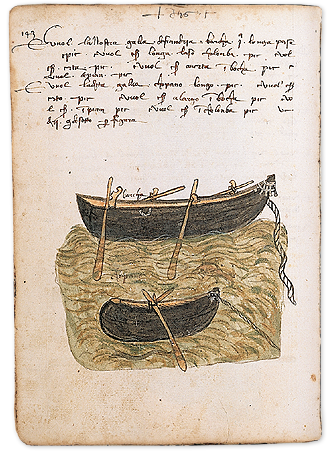 In 1435 a Yannis spent 3 1/2 ducats to buy 300 pounds of ship's biscuit for his ship. These don't give us much information about Nauplion shipping. There is more for Koroni. In 1428 George arrived in a griparia with salt meat, oranges, and cheese. Kyriakos Maropoulos brought salt meat, oranges, and cotton. In 1437 Kosta brought a ship of cheese, barley, fats, and other merchandise to Ragusa. In 1439 Theodoros brought salt meat. In 1442 Nikola Mortato brought oranges and merchandise. In 1443 Maropoulos and Nikolaos brought ships with cheese, lard, and linen. I've not found ships from Methoni. In 1441 Nikolaos of Patras brought wheat and salted meat. There are a number of entries which identify merchants as "Greek" without the name of a port. If I can assume as does the editor that all the Greeks are from the Morea, that gives me a few more merchants. Yannis arrived with merchandise on his ship in 1446. In 1428 Greeks brought saindoux, a high-quality rendering from pork fat. in July 1436 Dino imported 600 steres of millet for which he was to be paid 300 hyperpera. That was 600 cubic metres of grain, perhaps not requiring a large ship, but one larger than the two boats in the picture above. In 1421 so much grain was offered for sale by a Greek that it was necessary for the grain commissioners to set the prices. So this is about all I have on Moreote merchants and ships, but it begins to suggest a picture of Greek trade. I would be delighted if readers could contribute more. The Ragusan sources are from B. Krekić, Dubrovnik et le Levant au moyen âge. Paris. 1961. Crows in moult: the view from my desk. Watching the crows this summer, we have learned to distinguish several of them by a combination of size, curve of the beak, amount of feathers hanging down under the neck, bushiness of leg feathers, and so on. We have lost track of Wow, Tak, and Futhark: there are about eight young the same size. They have lost the red in their mouths, and they no longer scream to be fed. I suspect it is Futhark who dive-bombs a sibling and yanks on his tail. The moult is nearly completed, but so many crows replacing all their feathers has made tremendous demands on supplies of protein. Korax continues to visit. Washcrow and Her continue their late afternoon quiet time. Her is quite shy and continues to be skittish about our presence, but Washcrow visits, making a quiet rattle which I try to imitate, and then we will exchange assorted clicks and rattles for a bit. At least two other crows have followed his lead, and sometimes from the feeder there will be a wonderful, brief, flourish of crow sounds. One makes a series of small sneezy sounds when he sees me, while one makes small coughs. Washcrow will also, when the feeder is inadequately supplied, come near and let out a blast of two caws, demanding food which I immediately provide. Watching the crows this summer, we have also gained information we would prefer not to know. Crows get sick. They have crippled feet. They have deformities. They have avian pox with white spots and tumors. One has a blind eye. The unwell crows are cranky, snap at other crows on the feeder. The healthy crows don't seem to discriminate against the unwell when we are watching. There is ultimately nothing we can do about the unwell. The number of them is distressing -- do we have an accurate view of the ratio of well to unwell, or do we see more of the unwell because we provide a reliable food supply? Sometimes we can help them a little. Pierre constructed a feeder so the crows have three different possibilities for standing – on a rounded perch, on the narrower edge of the pan, on a flat plank. The crow with the crippled foot will land on the plank, foot curled, and then press it down on the plank until it opens up to support him. I discovered that the two crows with poxy faces liked soft bread – the pox makes sores in the mouth. After a week they rejected it, and I saw that one was getting better: the other has disappeared. The unwell crows are more difficult to photograph. They stay at the feeder a shorter time, their movements are jerkier, and I have wondered if they see the lens of the camera as the eye of a predator. Skin problems on the chin. These seem to be much improved. This is the crow who makes sneezy noises at me. Avian pox and damaged beak. on one foot, and is blind in his left eye.